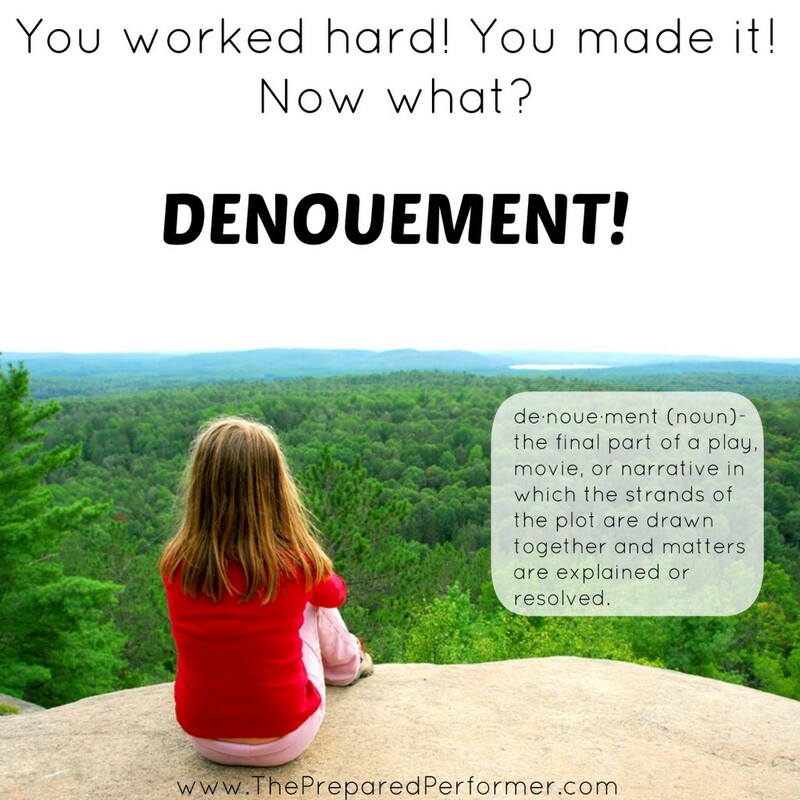 DENOUEMENT (n) – the final part of a play, movie, or narrative in which the strands of the plot are drawn together and matters are explained or resolved. There is so much crazy excitement and hard work that goes into putting up a show, when it's over… it can often be a huge shock to the system. It's like climbing to the top of a mountain and reaching that awesome peak with the breathtaking view and then realizing you have to climb down. I find it so important to check in and discover what you learned by working your tush off to put up this show. I love that I get to check in with my students after their performances. We talk about the highs and the lows, what they could have done differently and what they want to make sure to do again. To me, this feels like a denouement. I nice wrapping up of the story. A gentle resolve after the awesome high of a job well done. After your next show, do yourself a favor allow yourself the beauty of a denouement.